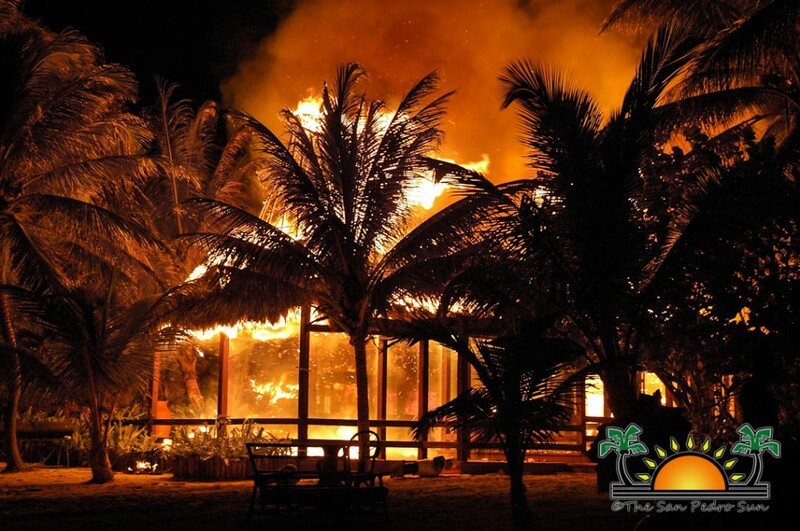 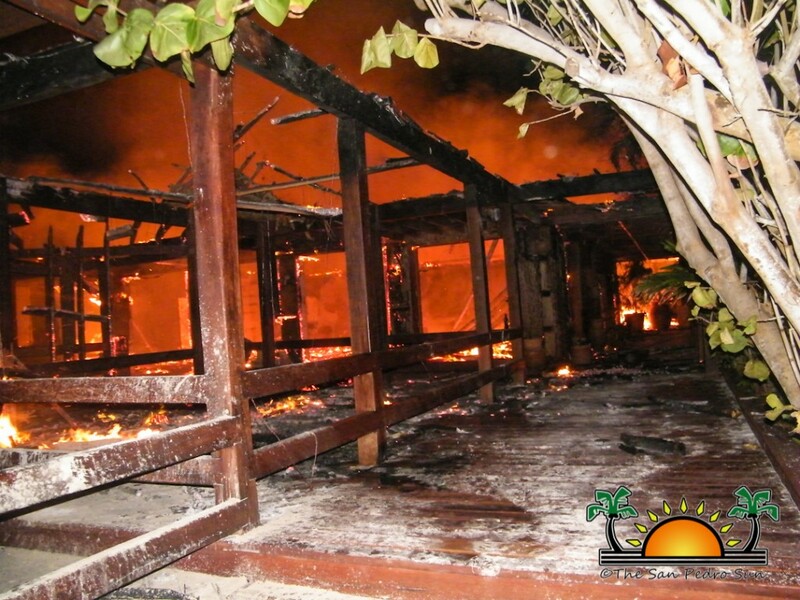 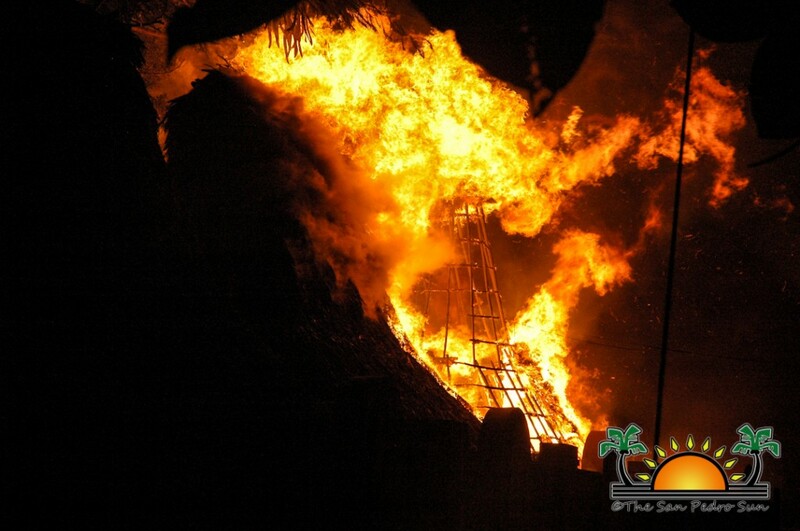 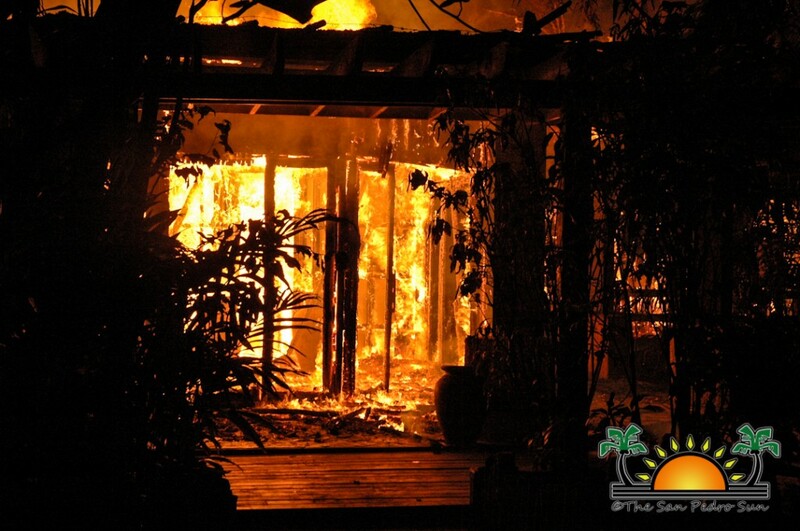 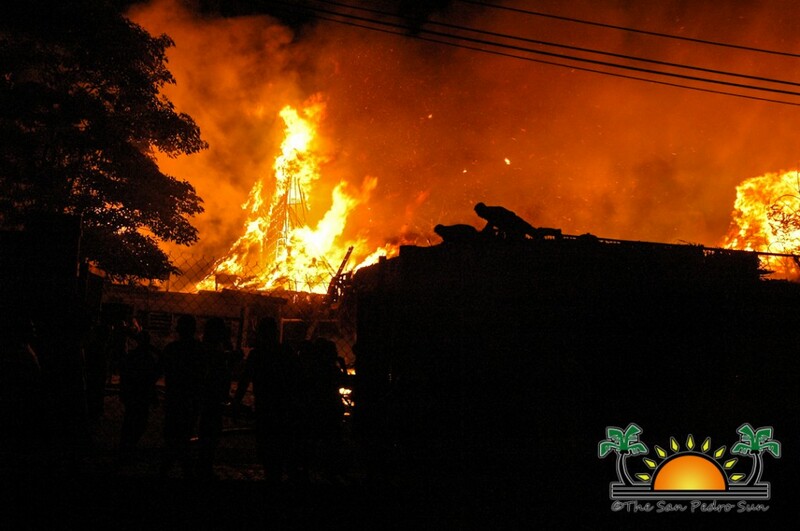 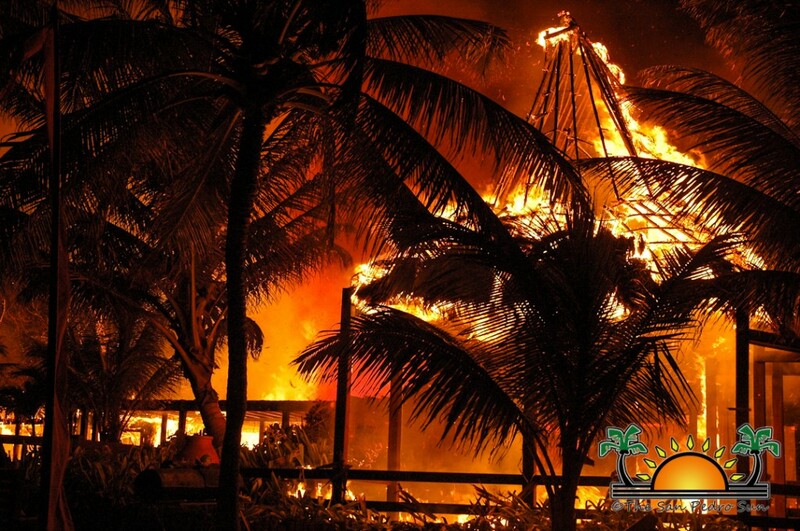 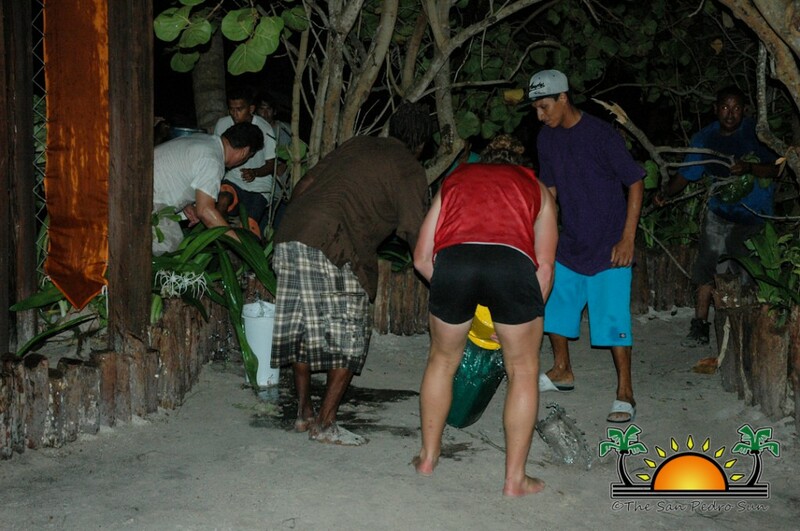 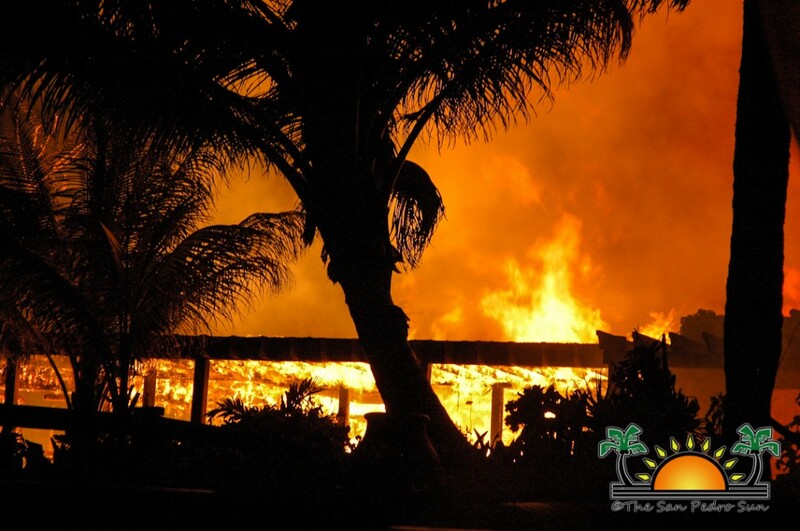 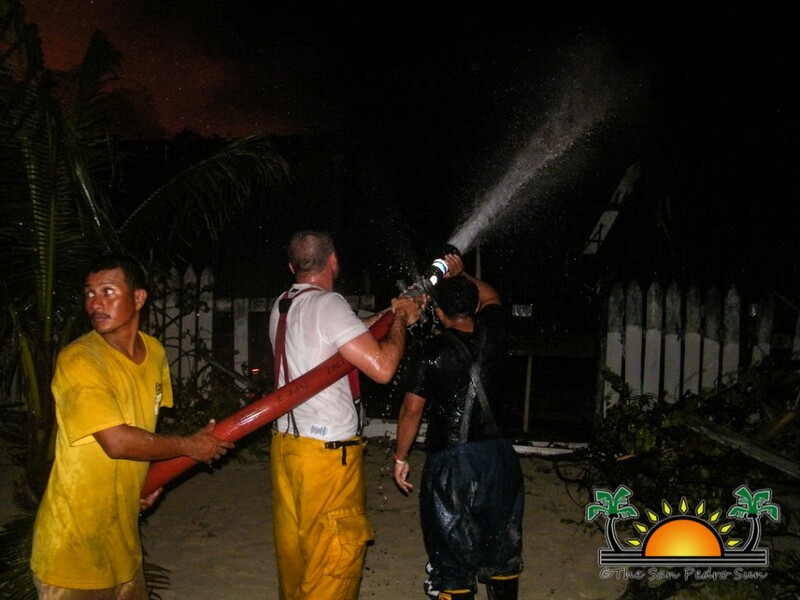 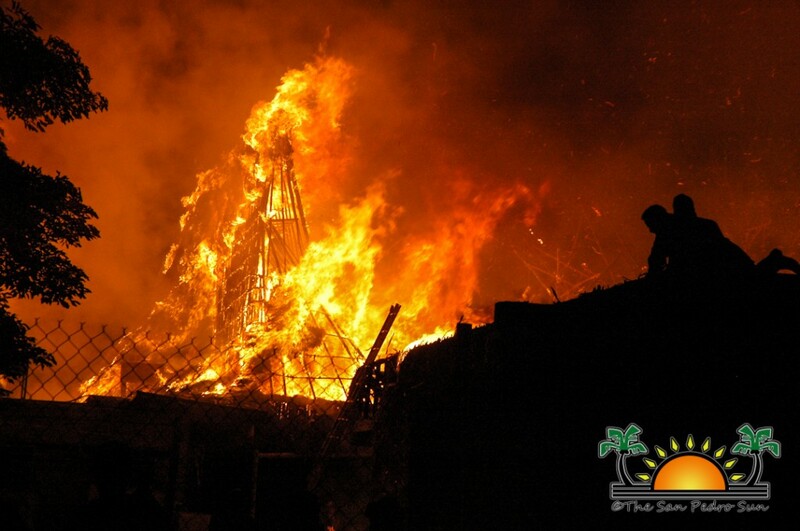 Ramon’s Village Resort, an iconic tourism institution on Ambergris Caye, located on Coconut Drive, has suffered major damages after a fire ravaged through its grounds. 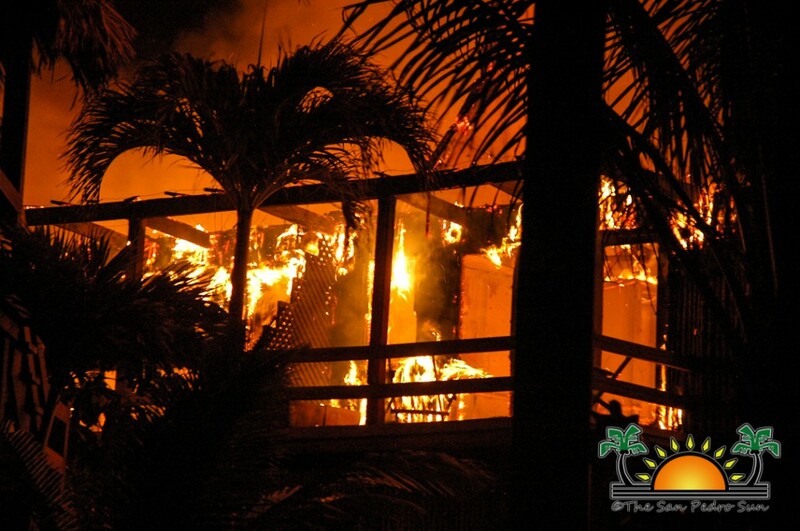 The fire started shortly around 8PM on Tuesday night, August 27th when a building in the southern section of the resort caught fire. 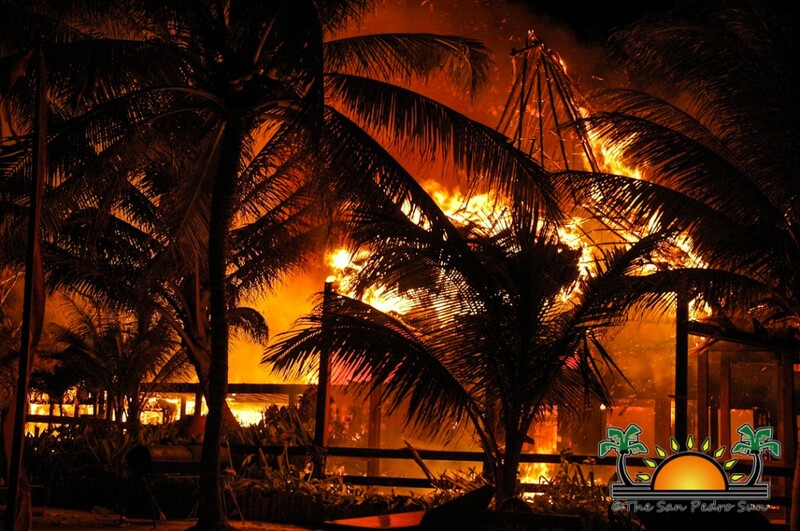 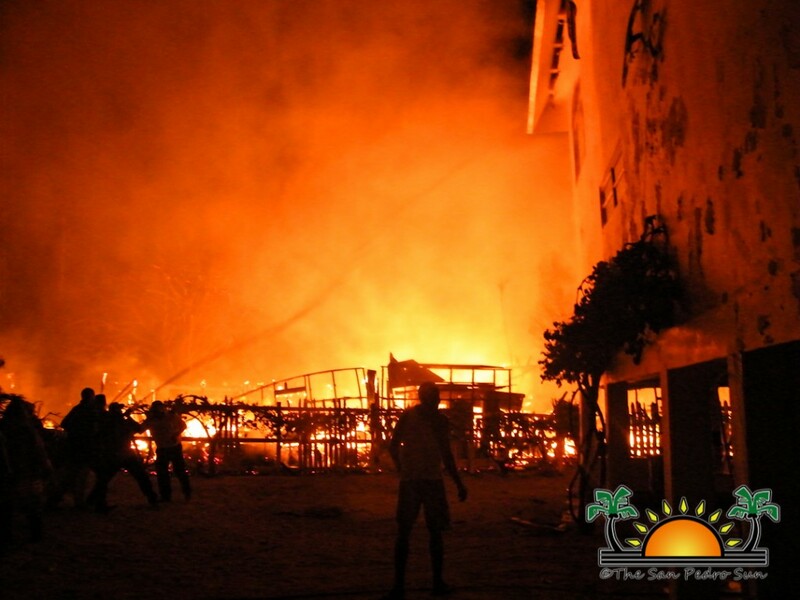 It took almost 2 ½ hours before the fire was brought under control, at which time about 2/3 of the resort was completely destroyed. 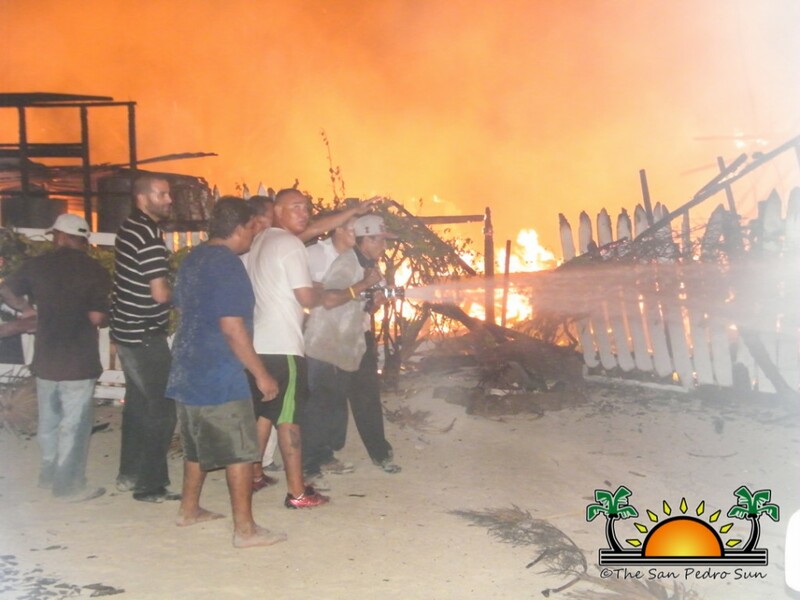 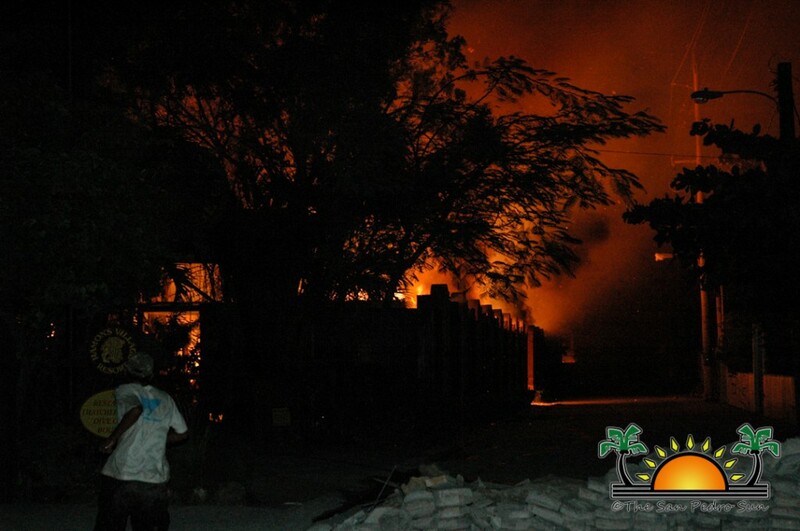 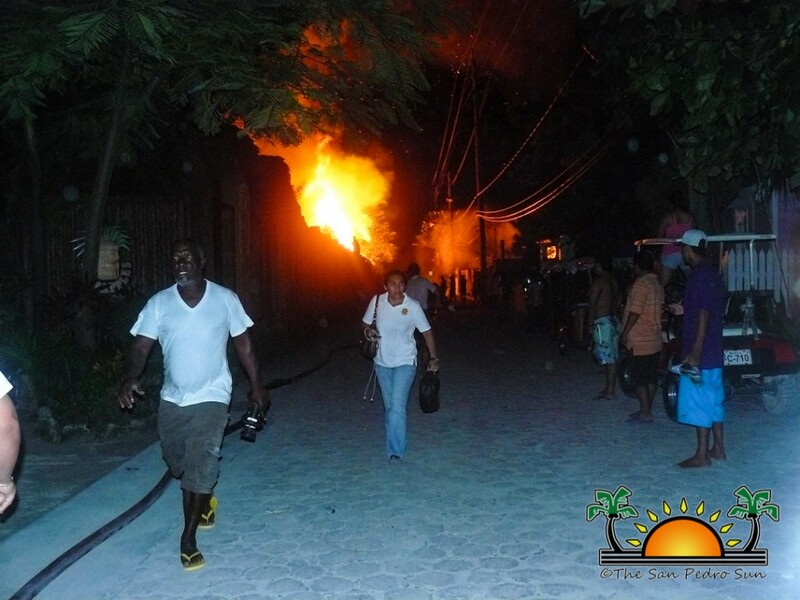 Neighboring structures received damage and electricity to the entire island was interrupted for nearly an hour. 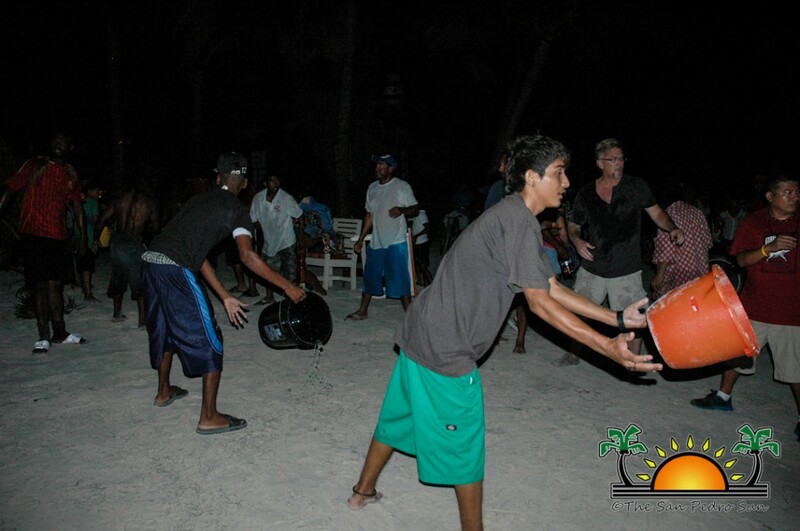 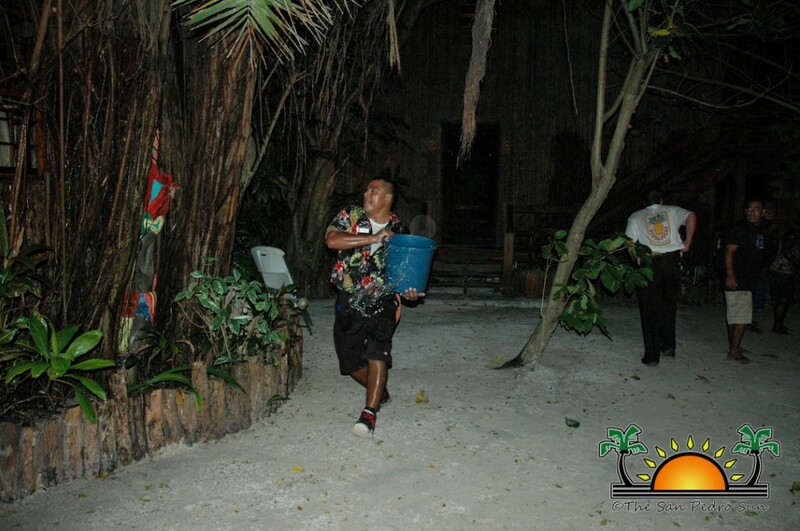 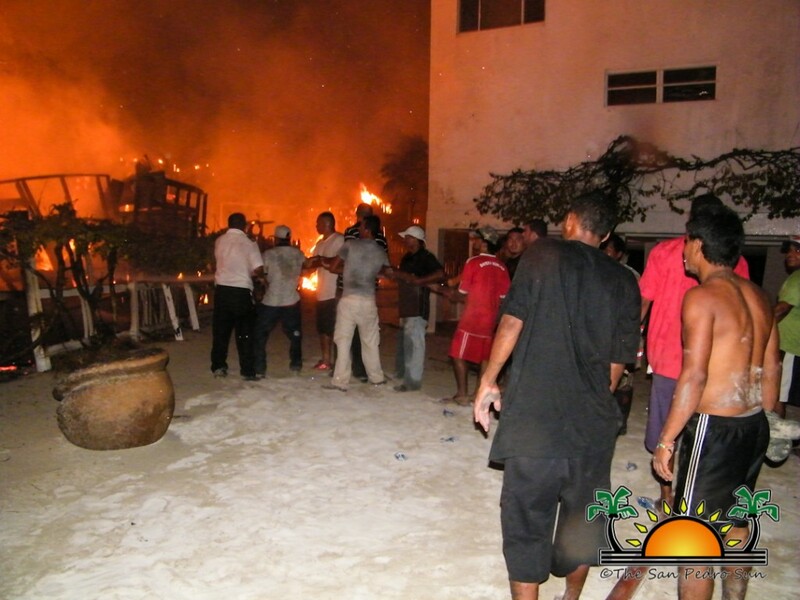 Guests from the resort were evacuated by the management of the resort before the fire got out of control. 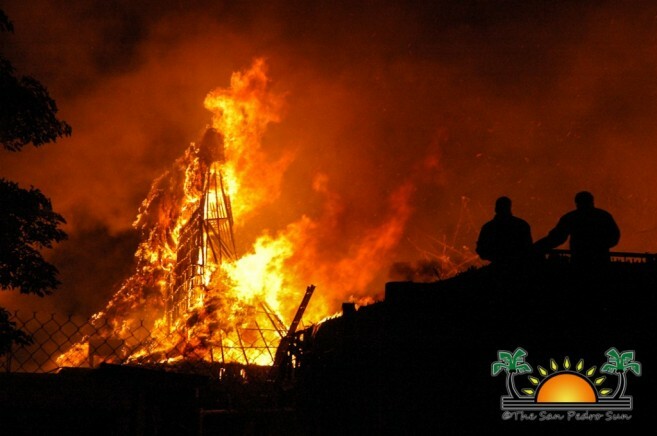 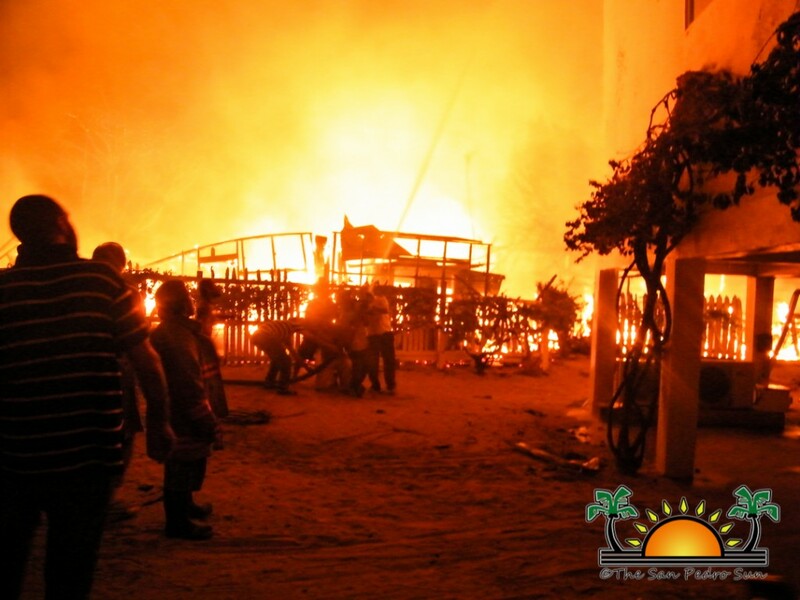 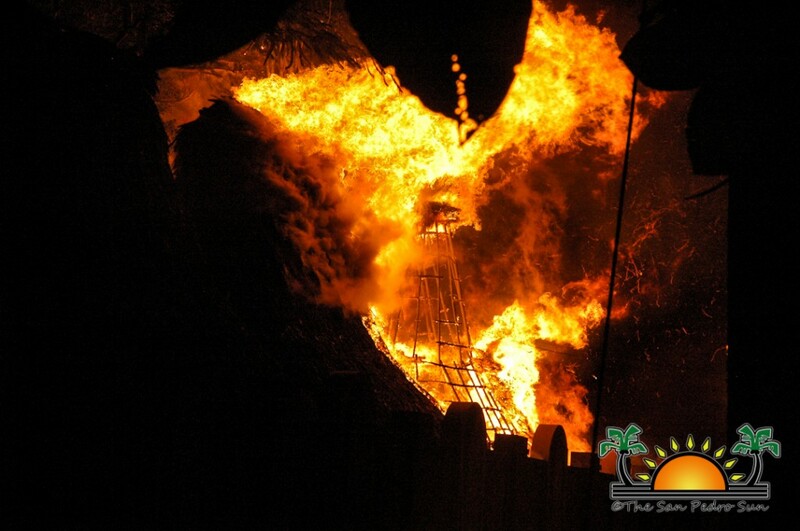 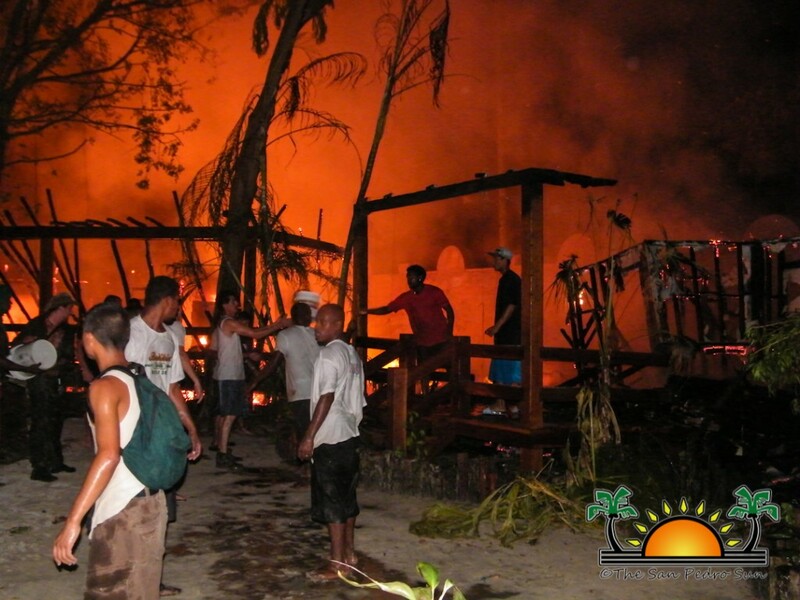 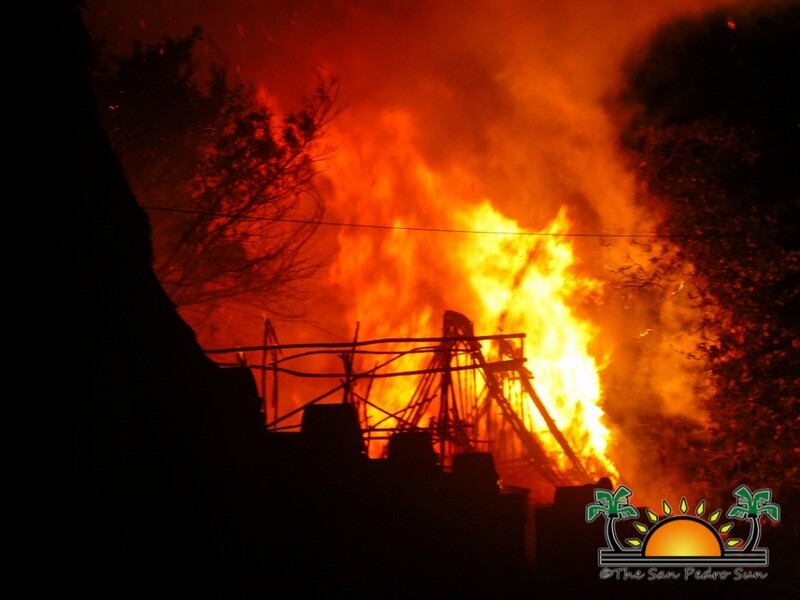 “It is definitely a loss to our local tourism industry,” commented the Minister of Tourism and Area Representative Manuel Heredia Jr. as he observed from a distance the island’s prime resort going up in a blaze. 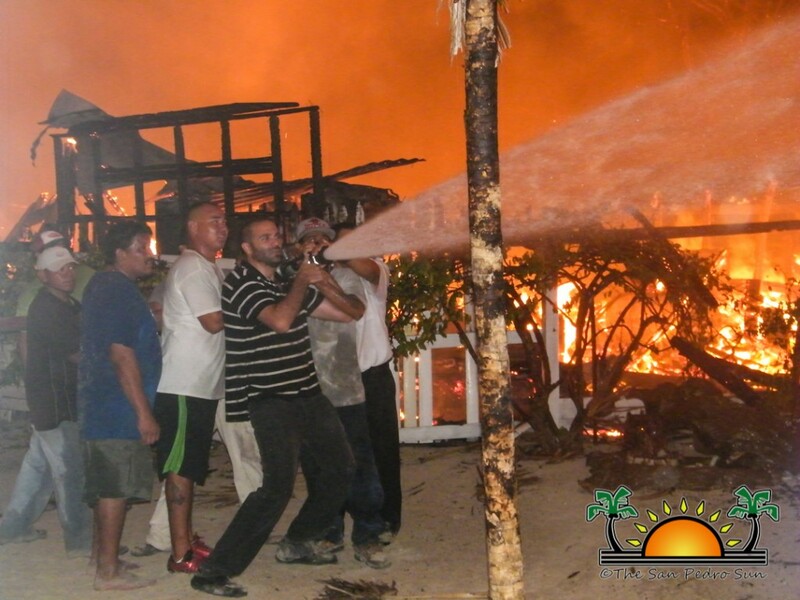 “We will render as much support to the management and staff because this resort has been a leading institution in tourism, not only on the island but in the country,” added Heredia. 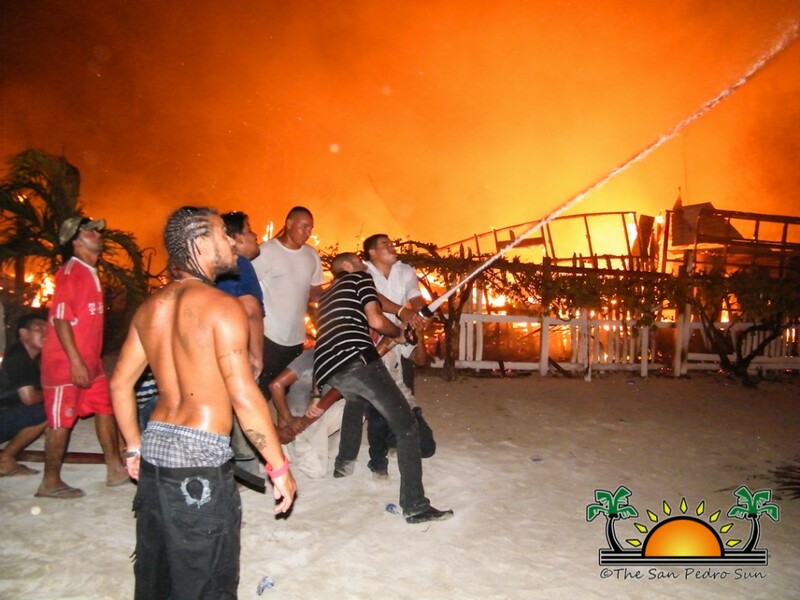 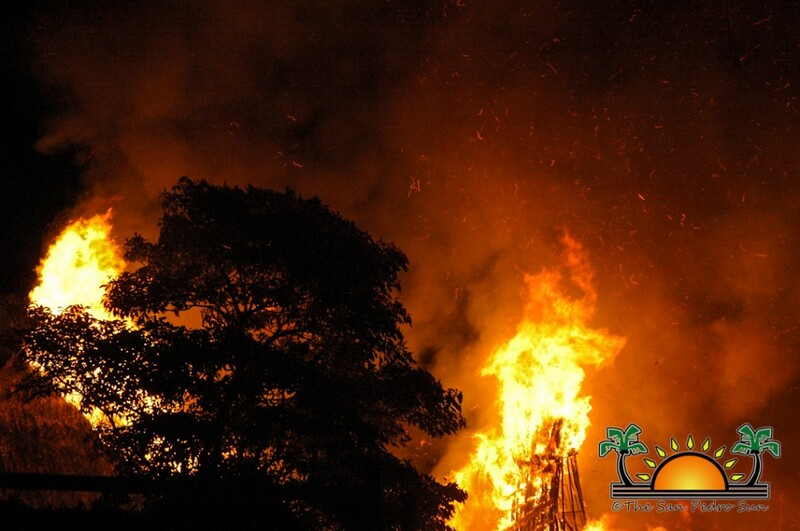 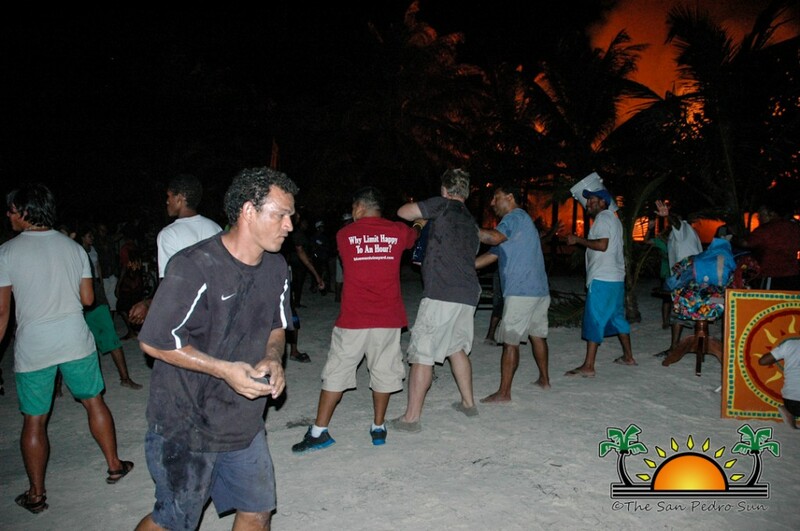 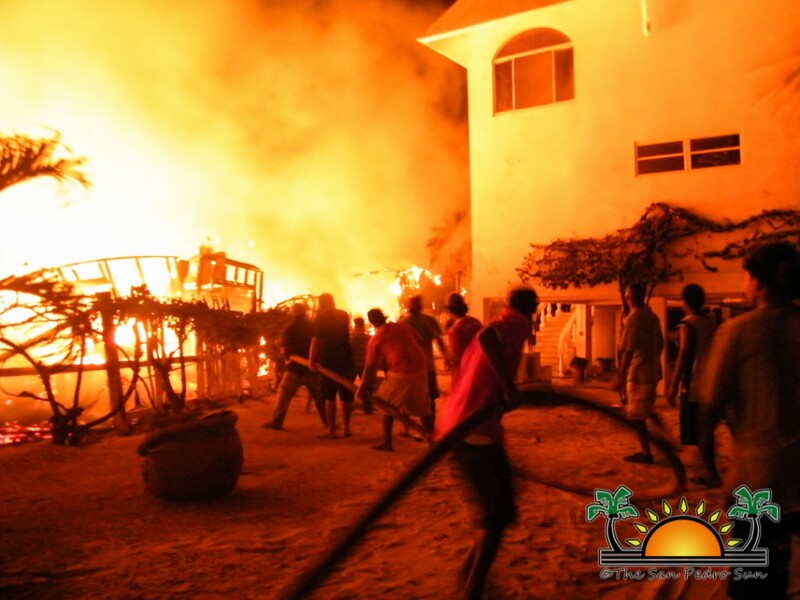 A large crowd gathered at all corners as the resort was gutted by the blazing fire. 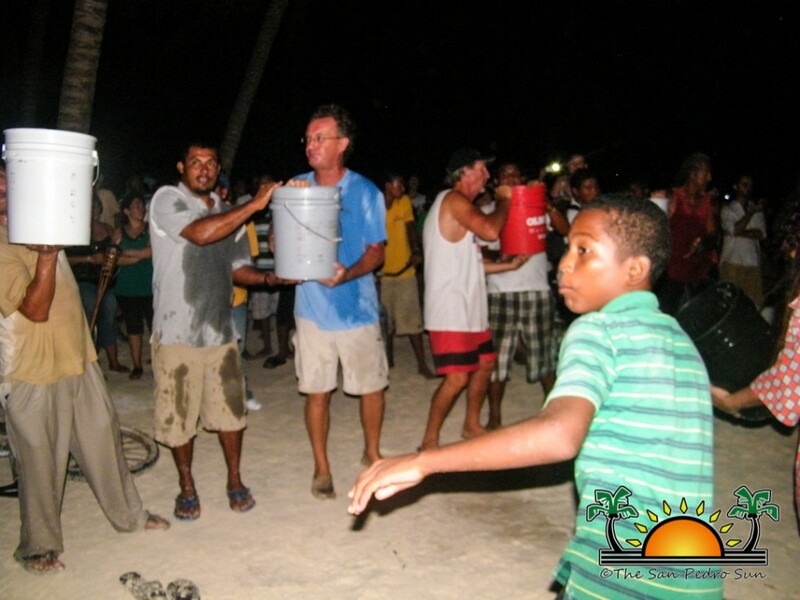 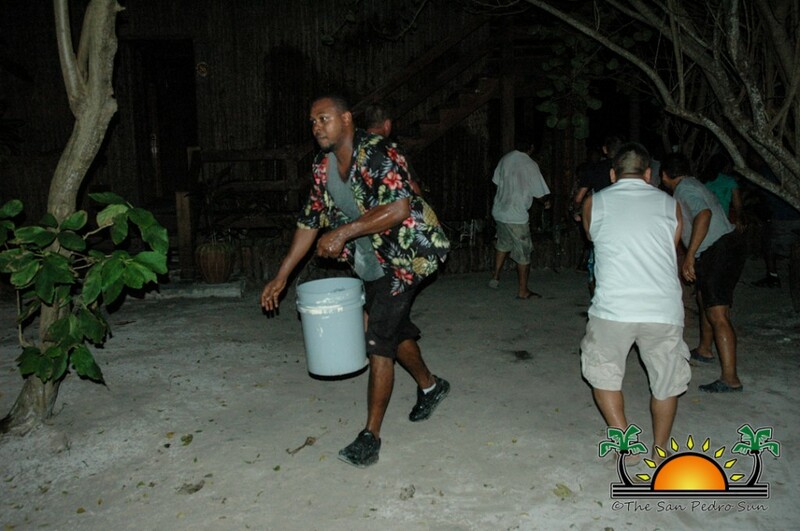 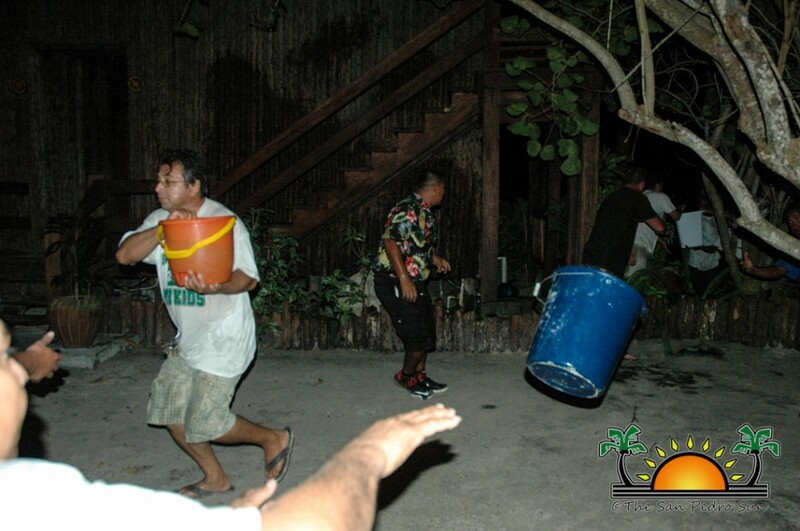 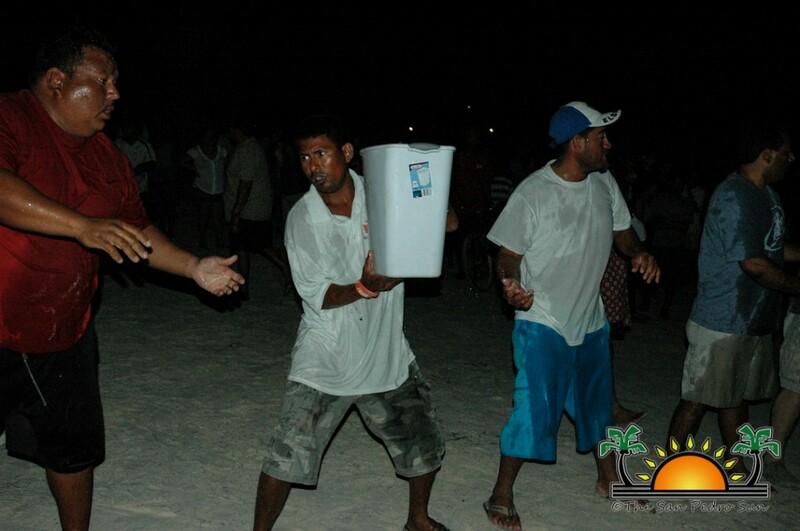 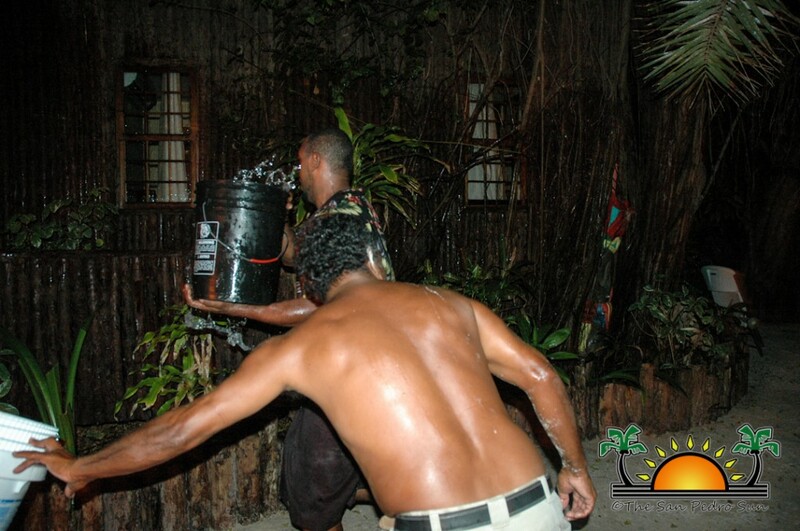 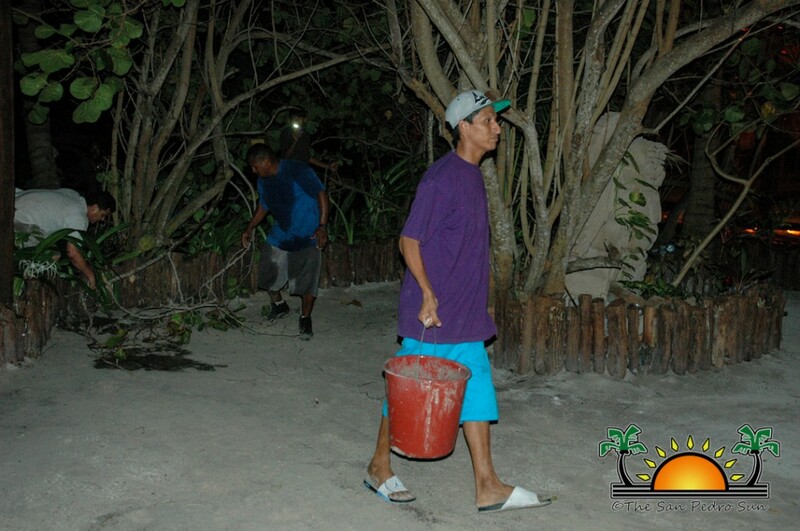 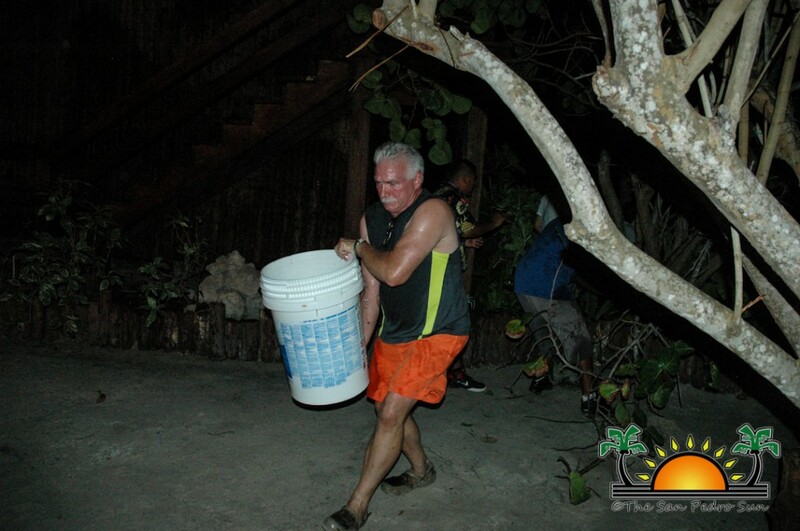 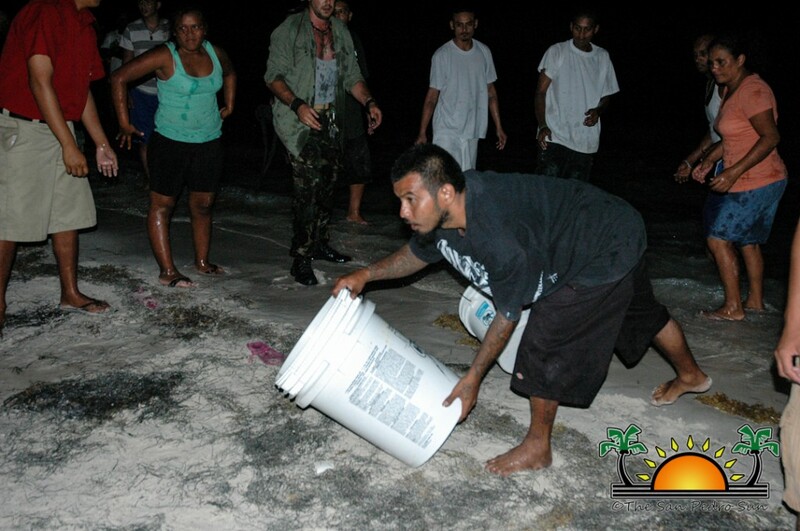 Local residents formed a bucket brigade to assist the local firefighters to bring the fire under control. 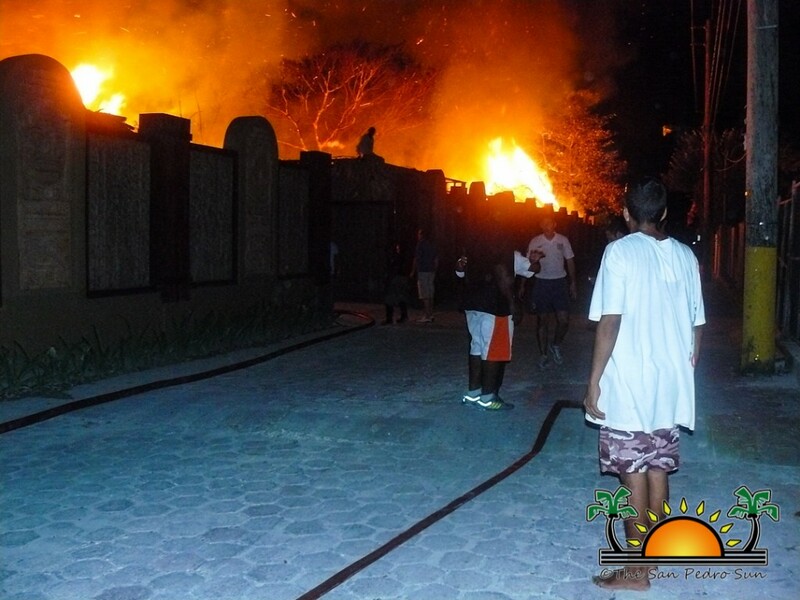 Residents living around the resort as well as guests from neighboring resorts were evacuated as a precautionary measure. 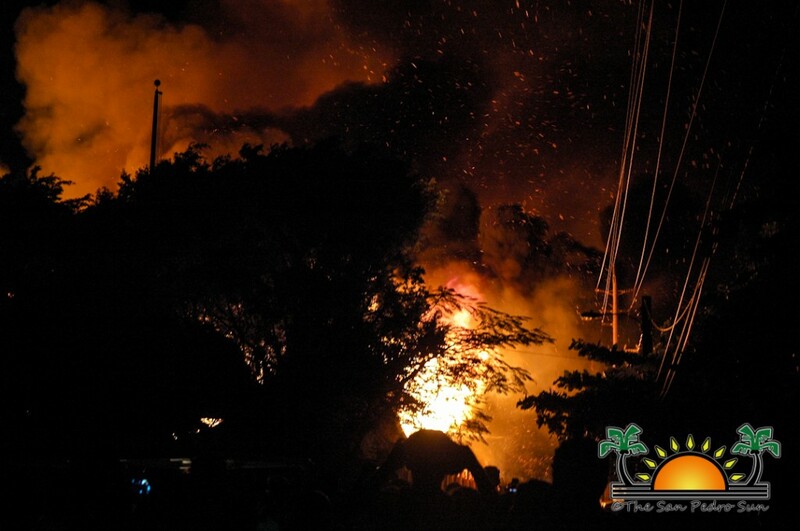 Up to news time, the estimated loss is unknown as the investigation is yet in its early stage. 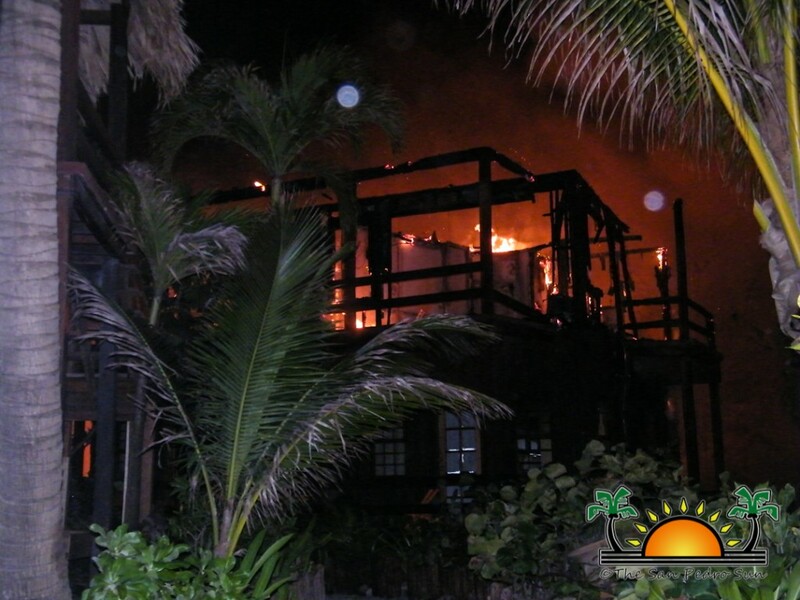 Last year, the resort completed major renovations, an investment that was estimated to have cost millions. 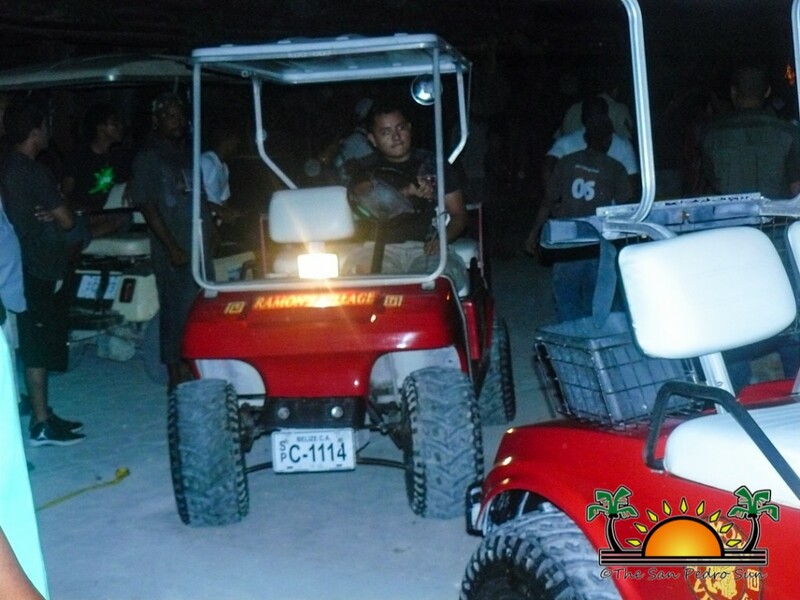 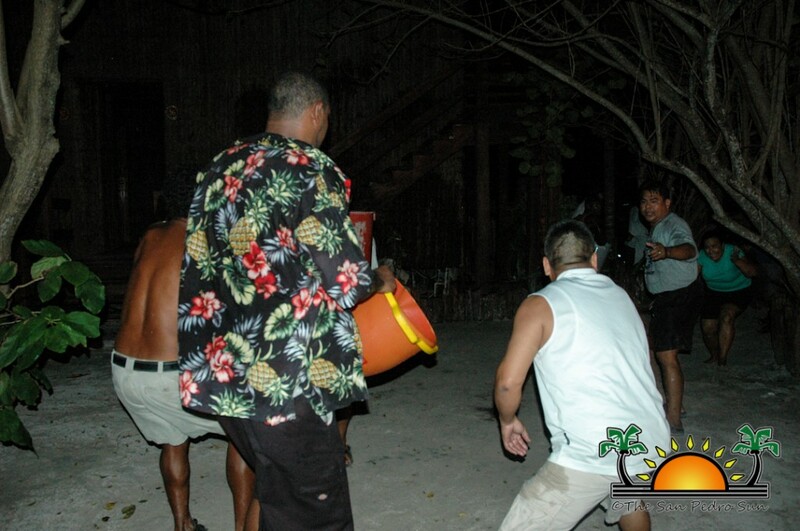 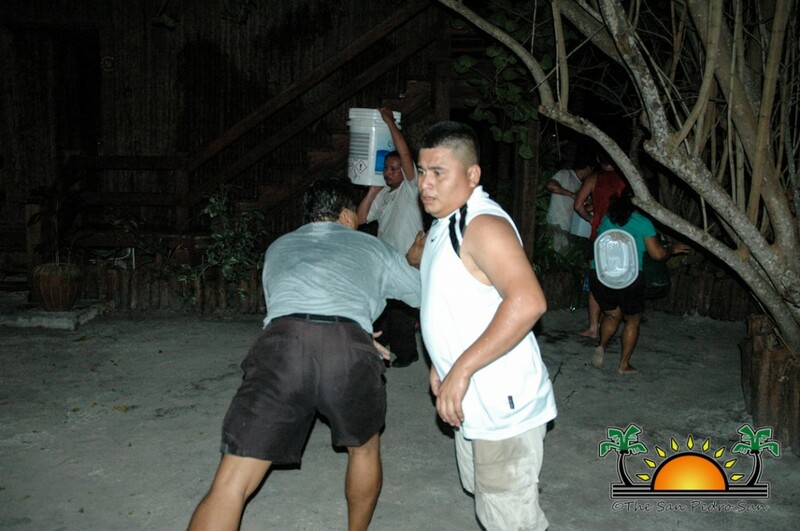 Ramon’s Village Resort is one of the oldest resorts on the island and has been in operation since 1982. 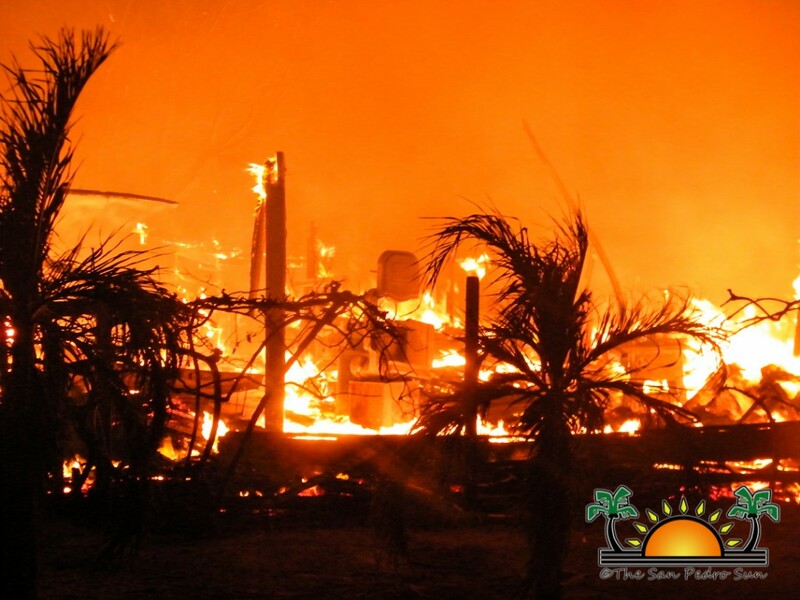 The San Pedro Sun hopes to post more details as they become available. 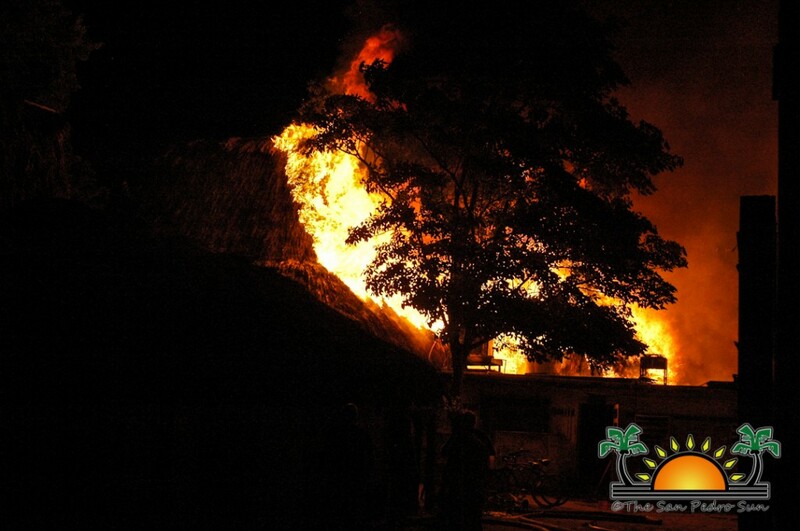 Our thoughts are with the staff, management and owners of Ramon’s Village Resort.